In India on September 24-9-1969 NSS was Started during the Gandhi Centenary Year as it was Gandhiji ,who Inspired for Indian Youth to Participate in the Movement for Indian independence and the social uplift of the downtroddron Masses of our nation. 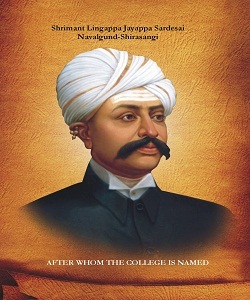 The NSS was started in 1970 in our college. The overall aim of National Service scheme as envisaged earlier, is to give an extension dimension to the higher education system and orient the students youth to community service while they are studying in educational institution. The motto or watchword of the National Service Scheme is 'NOT ME BUT YOU' this reflect the essence of democratic living and upholds the need for selfless service and appreciation of the other person's point of view and also to show consideration for fellow human beings. It Underlines that the welfare of an individual is ultimately dependent on the welfare of society on the whole. 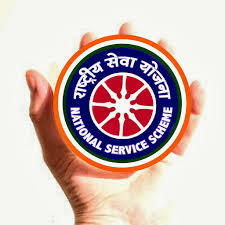 Therefore, it should be the aim of the, NSS to demonstrate this motto in its day-to-day programee.